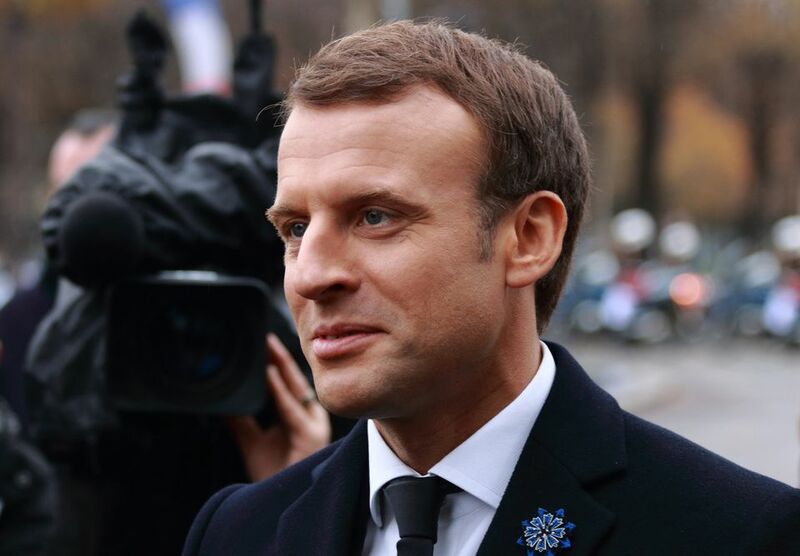 French President Emmanuel Macron has called for a Euro-African conference on the return of African artefacts to be held in Paris by next April. The Elysée Palace made the announcement on Friday 23 November following a 90-minute meeting between President Macron and Bénédicte Savoy and Felwine Sarr, the authors of a controversial report he had commissioned on the issue. Last year in Burkina Faso’s capital, Ouagadougou, the French president said the “temporary or permanent restitution of African heritage to Africa” would be a “top priority” for France. He is now inviting “all the African and European partners to come to Paris during the first quarter of 2019 to build a new relationship around this heritage and together develop a policy based on exchanges." Apart from France, most of the African collections in Europe are held by museums in Britain, Germany, Austria and Belgium. In a symbolic gesture, the president announced that France would restitute 26 objects pillaged by French troops from King Behanzin’s palace in Abomey, Benin in 1892. Benin was the first country to claim cultural items from France and is at the forefront of Africa’s push for the return of its cultural heritage. To proceed with the restitution, the government will have to propose new legislation to parliament. On Saturday, Stéphane Martin, the director of the Musée du quai Branly-Jacques Chirac, told The Art Newspaper that he welcomed the prospect of returning these objects and the opportunity for the conference, which he sees as an “important step towards developing exchanges”. Macron has tasked his new culture minister, Franck Riester, who was present at the meeting along with the report’s authors, to organise the conference with the Foreign Affairs Ministry, and to structure the process of the “circulation of these works” in the years to come. He insisted that “all forms of circulation be considered: restitutions, but also exhibitions, exchanges, long-term or short-term loans, cooperation, and the like,” and “museums play a central role in this process”. While praising the work of the two scholars, the French President clearly also distanced himself from their most controversial points. In the first round of restitutions, scheduled for 2019, Macron did not include items obtained by ethnographic missions, as had been requested by Savoy and Sarr. The report, which was widely publicised in the media before being presented to Macron, attracted criticism for its demands for “permanent restitution” of items taken during “colonial violence” by European nations before 1960. In it they argue that the complete transfer of property back to Africa and not the long-term loan of objects to African museums should be the general rule for works taken in the colonial period unless it can be proven that these objects were acquired “legitimately”. Savoy insists that the aim is not to “empty museums of their collections”. But leading cultural figures, including France's former culture minister Jean-Jacques Aillagon, have compared the main recommendations of the report to a Pandora’s box that could forever damage the universal message of institutions such as the Quai Branly, the Louvre or the British Museum.